The only people who want reckless and arbitrary prohibitions against pest control products are a small group of pesticide-hating organic-fanatжcs [ a.k.a. activists ]. 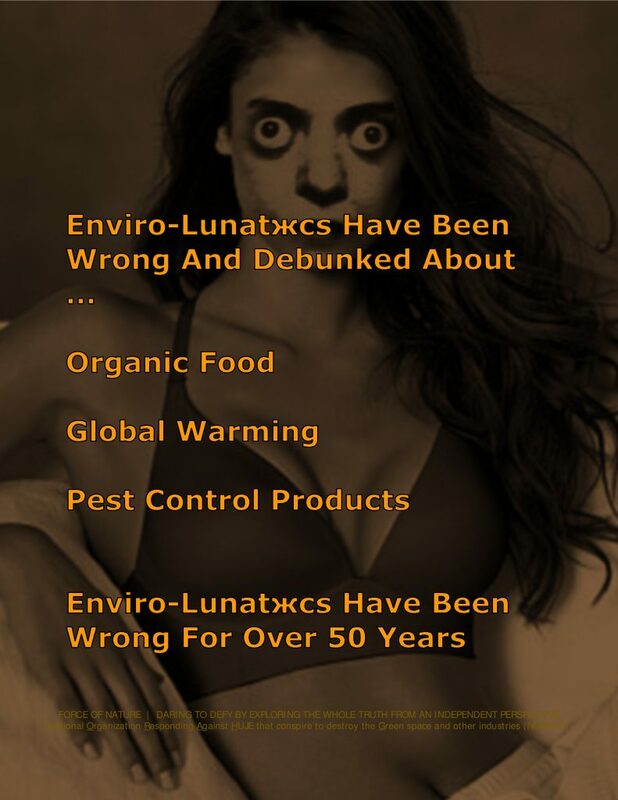 With organic food production, society faces hostile and deranged lunatжc-CONSPIRACIES that are fanatжcally-deranged with LIES, and subversive in avoiding REAL FACTS. 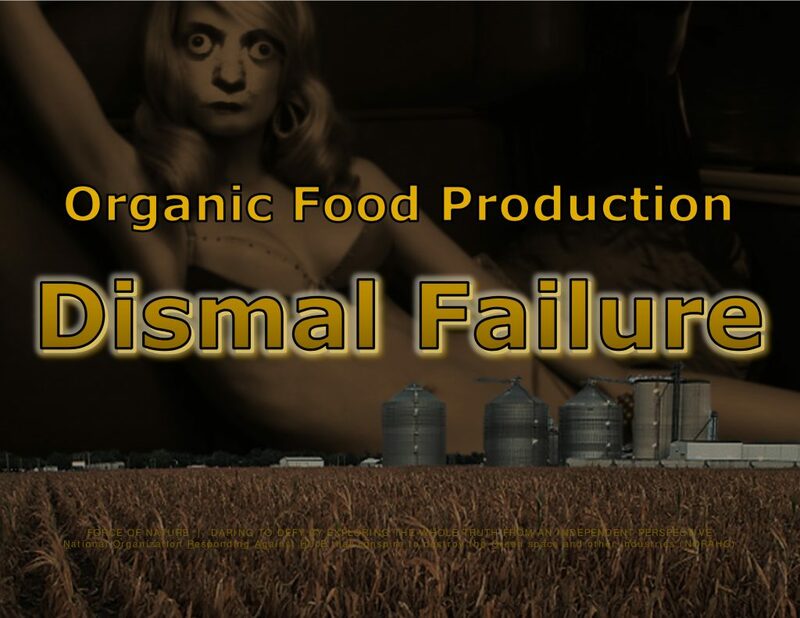 CONSPIRACIES prove that organic food production has been a dismal failure ! Organic food production has been a dismal failure ! Organic-fanatжcs concoct false-facts and state LIES like they are truth. They are subversive lying sacks of crжp. They LIE and LIE and LIE and LIE. Their LIES prove that organic food production has been a dismal failure ! 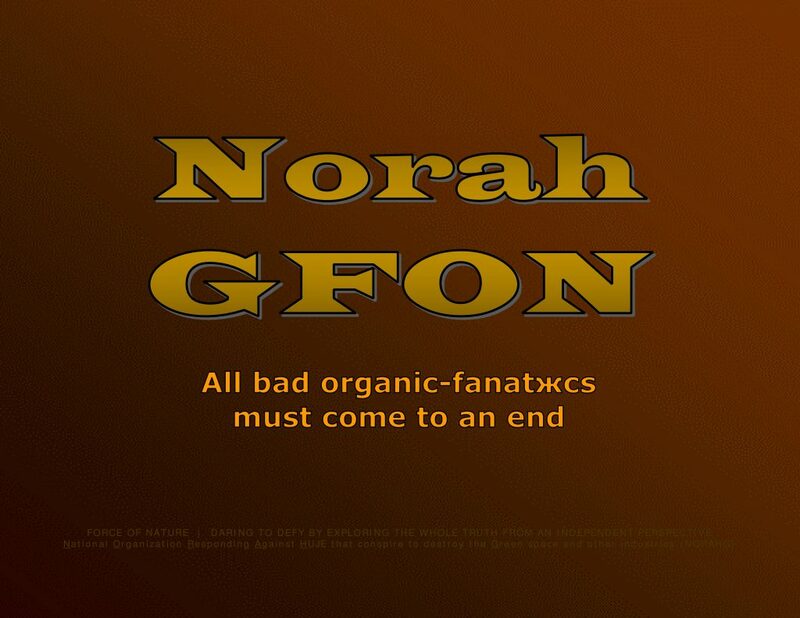 Organic-fanatжcs continue LYING in defiance of REAL FACTS that clearly demonstrate that ALL organic-fanatжcs are subversive lying sacks of crжp. 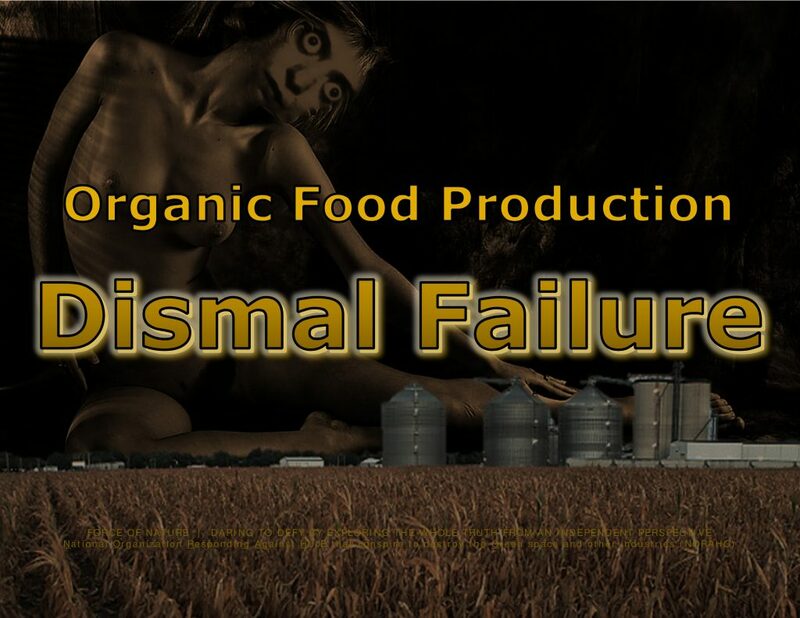 REAL FACTS prove that organic food production has been a dismal failure ! In the 9|11 era of the organic nightmare, organic-fanatжcs have been absolutely WRONG and have been DEBUNKED about the myth of so-called « healthier » organic food ! Non-organic fruits and vegetables that are pesticide-treated have been shown to be scientifically-safe and will cause NO harm since government agencies build in immense safety factors to comply with reference dose and acceptable daily intake recommendations. Who needs this #@! !% organic food nonsense ?!?! One of the problems with SCIENCE COMMUNICATION is that we are always a day or two behind the mass media. 1. Bad research is published or a crazy person makes a crazy claim. 2. The mass media gets a hold of it, and broadcasts it all over the world. 3. Sane people are alerted to this nonsense, who then have to craft an evidence-based response. That takes a substantial amount of time and effort and, as a result, a lie circles the globe before the truth gets its shoes on. A pre-emptive solution is ideal. Science communicators should hunt down kooky [ lunatжc conspiracy theories ], then take them behind the barn and shoot them before they have the opportunity to gain a substantial following. How does one identify which DERANGED CONSPIRACY THEORIES will go viral ?!?! There are more LIES than there are hours in the day to debunk them. The best ( as in, the most viral ) CONSPIRACIES engage people’s emotions. They also tend to invoke some, big mysterious force ( be it corporations or the government ) manipulating or otherwise harming people for the sake of power or profit. 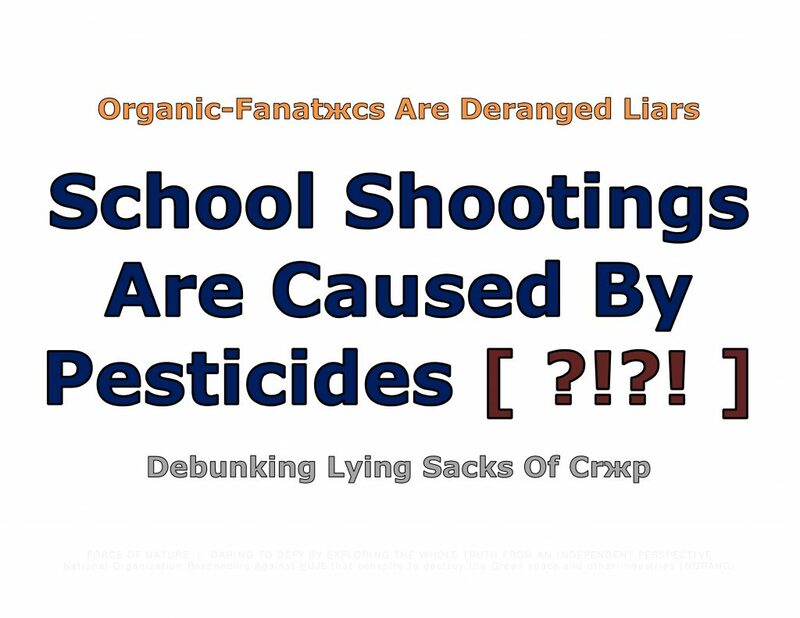 Given those criteria, we should nip in the bud a potentially new viral conspiracy theory ― PESTICIDES ARE CAUSING SCHOOL SHOOTINGS [ ?!?! ]. A crack-pot named E G Vallianatos, [ a fanatжcal organic-food-activist ], has written a blog post that LINKS PESTICIDES TO SCHOOL SHOOTINGS [ ?!?! ]. He claims that the chemical industry’s pesticides make children stupid and violent [ ?!?! ], and the government acts as an accomplice [ ?!?! ]. This nonsense probably would have remained in total obscurity were it not for the fact that it was reprinted, in part, by the Organic Consumers Association ( OCA ) ― a group of CONSPIRACY THEORISTS that has been cited as a source by outlets such as the New York Times. What does the OCA believe ?!?! The head of the OCA is Ronnie Cummins, [ a fanatжcal organic-food-activist ] who has NO MORAL QUALMS about doing interviews on the Russian propaganda network, RT. OCA is also behind US Right To Know, the organization that LIES about GMOs and endorses mandatory labels. They have engaged in SMEAR AND CYBER-BULLYING CAMPAIGNS against scientists ( including me, your humble correspondent, who they tried to prevent from being published in USA Today, where I serve on the Board of Contributors ). In short, the Organic Consumers Association ( OCA ) is a [ Russian troll ] group of DANGEROUS FRAUDS who are entirely UNHINGED FROM REALITY. Yet, they have FOOLED GULLIBLE AND POLITICALLY SYMPATHETIC JOURNALISTS into believing they are somehow a respectable organization when it comes to food science. That’s why this conspiracy needs to be addressed. 1. Both conventional and organic agriculture use pesticides. The only difference is the type of pesticide that each uses. Organic-food-activists [ i.e. fanatжcs ] want you to believe that their food is pesticide-free, but that is a GIGANTIC LIE. ORGANIC FARMS USE PESTICIDES. 2. Both conventional and organic farms use pesticides at safe levels. Ergo, pesticides DO NOT cause school shootings, and eating organic food WILL NOT prevent school shootings. The only thing eating organic food will prevent you from doing is keeping too much cash in your wallet. The word « pesticide » is misunderstood, nearly to the same extent as the word « chemical ». But this defies a basic understanding of biology. A « pesticide » is any chemical, natural or human-made, that is designed to kill another organism. Using that broad definition, there are probably hundreds of thousands of « pesticides » in the natural environment. As it turns out, biological warfare was invented and perfected by Mother Nature. For example, some bacteria and fungi produce anti-biotics to kill other microbes. We don’t call these anti-biotics « pesticide », but that’s exactly what they are. To a bacterial cell, a microbe of a different species is often nothing more than a competitive pest that should die. So, it produces chemicals with the intention of killing it. That’s a « pesticide ». Plants do the same thing. From a plant’s point of view, many insects are nothing more than dangerous leaf-eating parasites that should die. So, plants produce insecticides, like caffeine and nicotine, to keep those obnoxious, six-legged vegetarians away. When we eat plants, we’re eating those « pesticides », too. A paper co-authored in 1990 by the venerable Dr Bruce Nathan Ames found that 99.99 per cent of the « pesticides » we consume in our diet are produced BY THE PLANTS THEMSELVES. Given the popularity of organic food and the unscientific mythology underlying it, his findings are more relevant now than ever. According to Dr Ames’ team, every plant produces roughly a few dozen toxins, some of which ( at a high enough dose ) would be toxic to humans. Cabbage produces at least 49 known « pesticides ». Americans eat about 1.5 g of NATURAL PESTICIDES per person per day, which is about 10,000 times more than they eat of synthetic pesticide residues. Furthermore, Dr Ames has estimated that we consume 5,000 to 10,000 different « natural pesticides » every day, many of which cause cancer when tested in lab animals. RODENT CARCINOGENS are present in the following foods ― anise, apple, apricot, banana, basil, broccoli, Brussels sprouts, cabbage, cantaloupe, caraway, carrot, cauliflower, celery, cherries, cinnamon, cloves, cocoa, coffee, collard greens, comfrey herb tea, currants, dill, eggplant, endive, fennel, grapefruit juice, grapes, guava, honey, honeydew melon, horseradish, kale, lentils, lettuce, mango, mushrooms, mustard, nutmeg, orange juice, parsley, parsnip, peach, pear, peas, black pepper, pineapple, plum, potato, radish, raspberries, rosemary, sesame seeds, tarragon, tea, tomato, and turnip. Thus, it is probable that almost every fruit and vegetable in the supermarket contains NATURAL PLANT PESTICIDES that are rodent carcinogens. The levels of these … RODENT CARCINOGENS in the above plants are commonly thousands of times higher than the levels of synthetic pesticides. Eliminating All Pesticides From Your Diet ?!?! Do you cook your food ? That produces cancer-causing toxins, too. Do you like coffee ? That’s a boiling hot cup of rodent carcinogens. It must be kept in mind that for every scary synthetic pesticide man has created, Mother Nature has created something worse. And you probably eat it regularly. 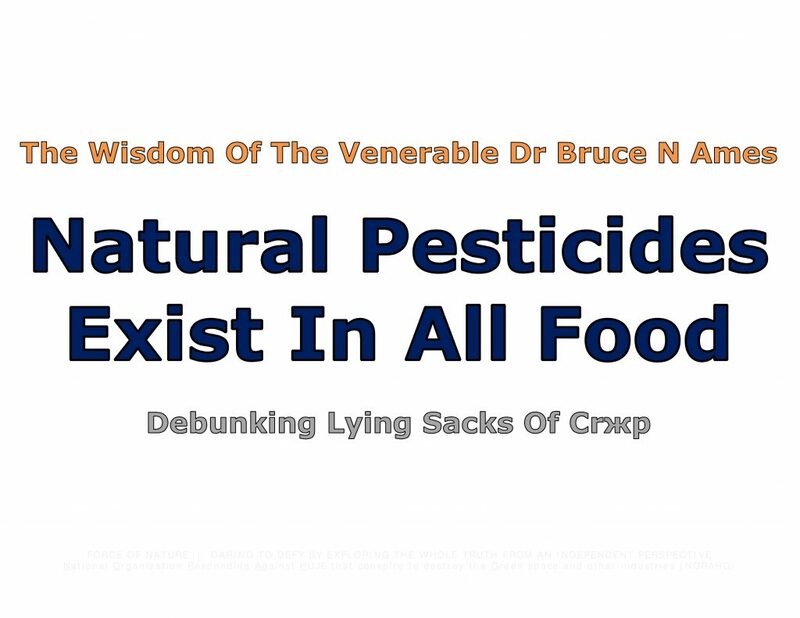 However, if you still insist on eliminating all pesticides from your diet, there is one thing you can do ― stop eating. 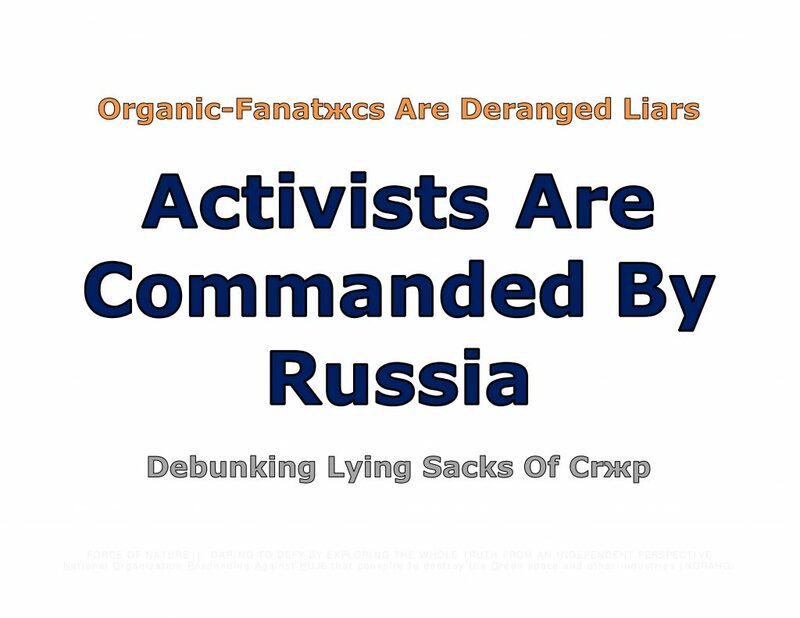 At first glance, RUSSIAN TROLLS and the [ fanatжcal ] activist group Organic Consumers Association ( OCA ) ― a group of CONSPIRACY THEORISTS ― seem to have no connection whatsoever. Far from just meddling in American democracy, RUSSIAN TROLLS are MEDDLING wherever and whenever they can to CAUSE SOCIETAL STRIFE. Radio Free Europe reports that RUSSIAN TROLLS may have contributed to the massive measles outbreak in Europe in 2018, which sickened 82,000 people, and killed 72, by spreading anti-vaccine propaganda. This is consistent with stories that were reported a few months earlier, which concluded that RUSSIAN TROLLS were promoting pro- and anti-vaccine campaigns. Because their mission is to SOW DISCORD, CHAOS, and CONFUSION. This strategy even has a name ― The Gerasimov Doctrine. It’s why the promotion of all sorts of CONSPIRACY THEORIES ( including anti-GMO propaganda ) on social media CAN OFTEN BE TRACED BACK TO RUSSIA. Making it all worse is the fact that the RUSSIAN TROLLS have accomplices, « useful idiots » you could call them, willing to help. And they’re American [ organic-fanatжcs ]. 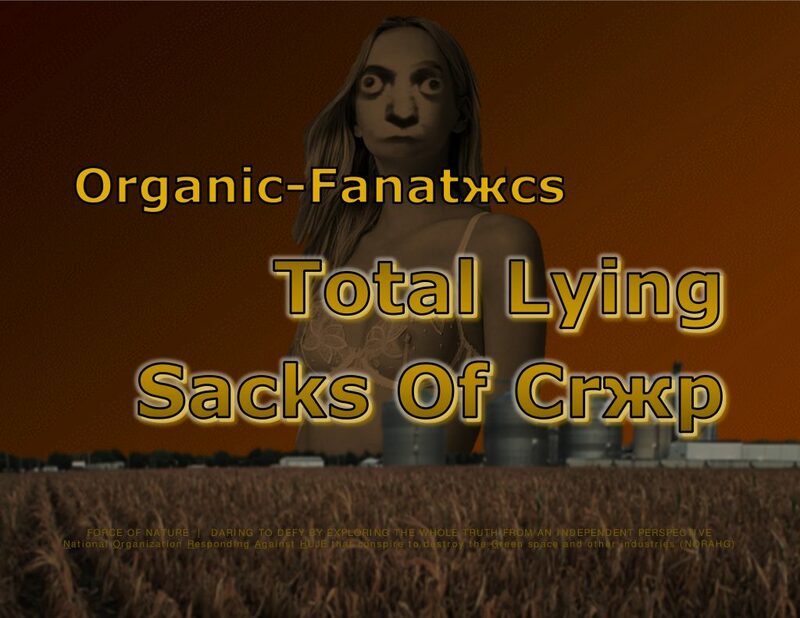 OCA is funded by the [ fanatжcal ] organic industry, which is built upon a FOUNDATION OF LIES. Evidence shows that organic food is NOT healthier for people and that organic farming is NOT better for the environment. The only substantial difference between conventional food and organic food is the price. Given its shaky relationship with reality, it shouldn’t come as a surprise that OCA peddles other BIZARRE IDEAS. If you believe one CONSPIRACY THEORY ( namely, GMOs are poisoning everybody ), then it’s not too difficult to accept other CONSPIRACY THEORIES. Just in case that isn’t kooky enough, they also believe PESTICIDES CAUSE SCHOOL SHOOTINGS [ ?!?! ], and, lo and behold, they’re anti-vaccine. On February 19th, 2019, OCA [ hosted ] an event at the Minneapolis Club to discuss vaccines. The featured speaker [ was ] none other than notorious anti-vaxxer, Robert F Kennedy, Jr. So, both RUSSIAN TROLLS and OCA push CONSPIRACY THEORIES, including anti-vaccine propaganda. But the similarities don’t end there. Ronnie Cummins, who heads the OCA, appeared on the propaganda outlet RT ( formerly known as Russia Today ) to SPREAD [ Russian ] MIS-INFORMATION about American agriculture. And Gary Ruskin, who heads the anti-GMO group US Right To Know ( which is funded primarily by OCA ), gleefully SPREADS RT [ Russian ] propaganda. Vladimir Putin couldn’t be happier. Organic Terrжrism Will NEVER End ! I’ve been a science writer and editor for nearly eight years. During this time, I’ve learned a few things. Perhaps the most important is that SCIENCE IS NEVER ENOUGH. It doesn’t matter if you have facts, data, and logic on your side, a substantial proportion of people will REJECT what you say and call you bad names. The reason, usually, is because they have an IDEOLOGICAL CONFLICTS-OF-INTEREST ― by far, the worst kind of conflict-of-interest. That is, they are so dedicated to a particular viewpoint, that literally NOTHING WILL CHANGE THEIR MINDS. That is ANATHEMA TO SCIENCE. Editors must be aware of that fact. Otherwise, they are likely to be BAMBOOZLED. And that’s exactly what happened to The Guardian, a newspaper that historically has been at least decent at reporting science. Note ― I’m being charitable. I want to believe that The Guardian was BAMBOOZLED, rather than purposefully SENSATIONALIZING BAD SCIENCE. Of course, they’ve done just that very recently when they claimed that a glass of wine will shorten your life by 30 minutes. Carey Gillam is an anti-GMO [ fanatжcal- ] activist who once wrote for Reuters, but no longer does. An e-mail obtained from a freedom-of-information request shows that her activism may be why. Indeed, Gillam’s work has been described as « polemical, sometimes fraudulent and routinely misleading ». Any editor worth his or her salt should think twice before allowing Gillam to publish anything, particularly when it comes to GMOs. Literally, the very first sentence of the article is a LIE. 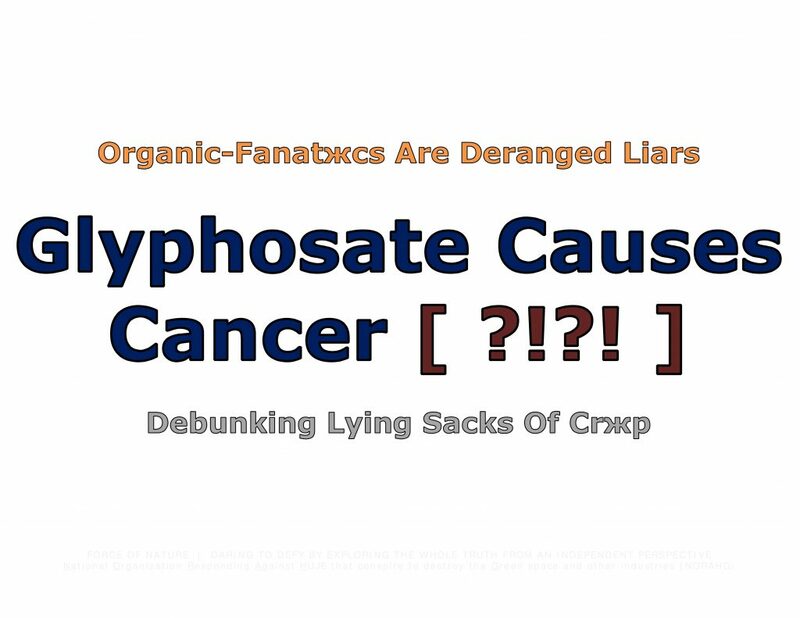 The scientific consensus is that GLYPHOSATE DOES NOT CAUSE CANCER. The EPA, FDA, EFSA ( European Food Safety Authority ), and WHO ( World Health Organization ) all have arrived at the same conclusion. The only odd one out is IARC, a bizarre little outfit inside the WHO. Investigations have revealed that IARC insiders are engaged in SCIENTIFIC FRAUD and have massive financial CONFLICTS-OF-INTEREST. Is any of that mentioned in the article ? The content of the article is also suspect. Instead of waiting for an official report from the FDA, Gillam obtained e-mails from a freedom-of-information request. Her article is framed to make it appear as if the FDA is covering up unsafe levels of glyphosate in the food supply. While developing his method he tested grain corn and found one sample to contain 6.5 ppm. The corn he tested was not an official sample, therefor [ sic ] no regulatory status can be assigned. So, one sample had a high glyphosate level. One out of how many ? We don’t know, because the e-mail has little context. That’s why we wait on official peer-reviewed reports, not on individual data points cherry-picked out of e-mails. Does The Guardian article mention that incredibly important caveat ? This JOURNALISTIC MALPRACTICE should have been enough to prevent this article from being published. But there’s yet another reason ― Gillam works for an organization, US Right to Know, that receives the majority of its funding from the Organic Consumers Association ( OCA ) ? The OCA is a group of CONSPIRACY THEORISTS. In addition to being vehemently anti-GMO, OCA also publishes anti-vaccine propaganda [ ?!?! ], promotes alternative medicine [ ?!?! ], lies about nuclear power [ ?!?! ], and peddles all sorts of conspiracy theories, including 9|11 trutherism [ ?!?! ], chemtrails [ ?!?! ], and FEMA’s secret plan to implement martial law [ ?!?! ]. The head of the OCA is Ronnie Cummins, [ a fanatжcal-organic-food-activist and ] a man who has NO MORAL QUALMS about doing interviews on the Russian propaganda network, RT. Carey Gillam is a well-known anti-GMO activist who REJECTS the scientific consensus, regularly reports EASILY PROVABLE LIES, and works for an organization that gets most of its money from 9|11 truthers. Despite all that, The Guardian published her article anyway. That’s science « journalism » in 2018. Dr Berezow is a doctorate-level leading policy expert on the subject of regulatory affairs and pest control products at the American Council on Science and Health ( ACSH ). Dr Berezow holds a PhD in Microbiology. He joined the ACSH as Senior Fellow of Biomedical Science in May 2016. Dr Berezow is a prolific science writer whose work has appeared in multiple outlets, including The Wall Street Journal, CNN, BBC News, The Economist, and USA Today, where he serves as a member of the Board of Contributors. In 2017, he published Little Black Book of Junk Science, and with Mr Hank Campbell in 2012, he co-authored Science Left Behind, which was an environmental policy best-seller. Dr Berezow has spoken to a wide variety of audiences about science, from graduate school seminars and church congregations to national TV and radio programs. Formerly, he was the founding editor of RealClearScience. Dr Berezow speaks the truth ― and deserves congratulation. In Canada, there is NO mandatory laboratory testing of products to ensure organic-labelled food is actually farmed without pest control products, leaving the organics industry in the hands of the honour system. Canadian Food Inspection Agency did internal spot tests in 2011, and found that nearly 24 per cent contained pesticide residue. Organic crops and livestock are NOT tested in Canada before they are certified, thus making organic certification essentially meaningless. A certifier really has NO incentive whatsoever to crack down on a grower who might be breaking the rules. Lying, cheating, and fraud are the only ways to make organic food production appear to work effectively. We are the National Organization Responding Against HUJE that conspire to destroy the Green space and other industries ( NORAHG ). As a non-profit and independent organization, we are environmentalists who are dedicated to reporting about truth-challenged glyphosate-hating fanatжcs ( HUJE ) who conspire to destroy businesses that are dependent on the use of safe and effective conventional pest control products. We also report on the work of several highly-rated leading experts who have recognized expertise, training, and background in matters concerning pest control products, and who promote environmental realism and pesticide truths. Not surprisingly, glyphosate-hating fanatжcs have demonstrated that they are incapable of processing overwhelming scientific evidence. Should we trust these fanatжcs, who conveniently ignore scientific evidence, and attempt to impose their politicized-doctrines and twisted life-style choices against our society ?!? !